Utilize the CFD expertise of TotalSim to improve propulsion systems. You can solve your most complex Marine engineering challenges by tapping into our applied expertise. Are you looking to enhance large propulsion system momentum, low flow velocity and RPM or even run resurfacing models? At TotalSim, we will use our extensive aerodynamic knowledge to customize a solution for your specific needs. 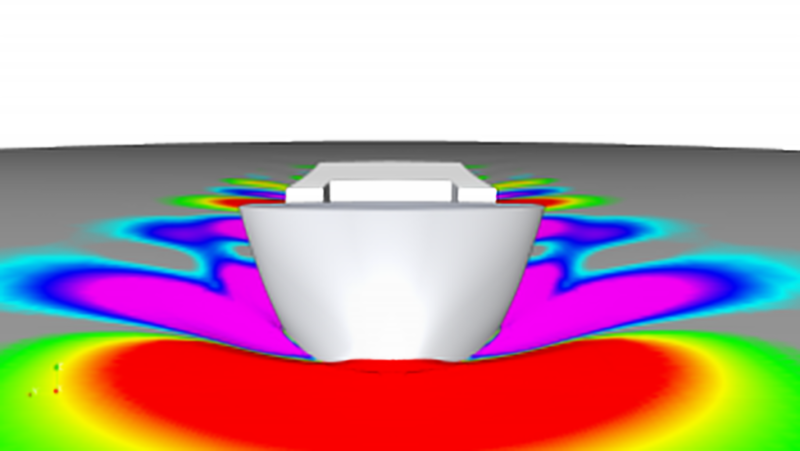 Our CFD tools and robust technology helps you efficiently analyze and understand the data allowing you to evaluate how your vessel performs without having to scale the simulation down to an approximate sample. We are able to replicate large-scale simulations for container vessels or wind loads with our high performing computing capabilities. Let us help you perfect your marine or propulsion designs so that you can have an efficient vehicle. With virtual prototypes, you can accelerate your production by uploading CAD files and selecting the conditions you want to evaluate. Whether testing the effects of flooded compartments or tanks or trying to predict trim and draft calculations, our simulations can provide you valuable insights to help you save time and money. And knowing you have the ability to tap into our expertise and tools for in-house analysis and design or for a full CFD project with experts, you can feel confident in moving forward with a solution.